Have you ever had the feeling like you've seen or heard something before and chalked it up to déjà vu? A couple years ago, a friend of mine cued me into the Wilhelm Scream. 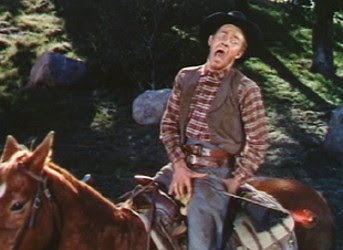 It's this quirky little scream that was first used in an obscure 1951 movie, "Distant Drums." The sound was used a few times until Ben Burtt, a sound effects guy, used it when doing the audio for the original "Star Wars" film. He kind of adopted it as his personal signature sound and continued placing it films he worked on. Eventually others picked up on it and used it in their films too. It's now been used in over 200 movies. This last week, I heard it in an animated film my kids were watching. If you're aware of it, I'm sure you'll hear it in some films too. Reminds me of the Goofy Yell, aka the Goofy Holler...a quick search in Google Videos will find you some gems...Very interesting posts the last few days, thank you Nate! I listened to the "Wilhelm Scream" video and it is fascinating! T'anks.